A couple of weekends back, Mr Jules and I attended the Bandra Wine Festival - where after sampling a few glasses of Indian wine in the midday sun, became rather in need of something more refreshing to drink (say no more!) 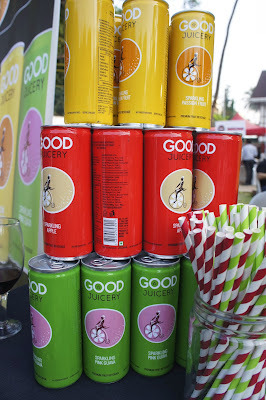 That's when I came upon the brightly coloured 'Good Juicery' stall and a lady called Michelle Bauer - who is responsible for creating and launching this new brand in India. I was very impressed by the drink - particularly the apple flavour. And as natural sparkling fruit drinks are not so widely available in India, I ended up buying a cart load of the stuff to store in our fridge. Mr Jules even wanted some to put in his office fridge to wheel out for special guests. 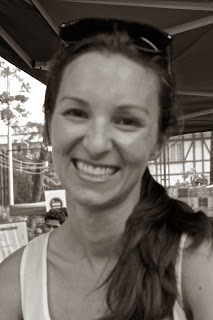 Michelle, aged only 31, is originally from Cape Town, South Africa and now lives permanently in Pune. She has a background in retail advertising and marketing, working in both South Africa and Dubai before moving to India in 2011. 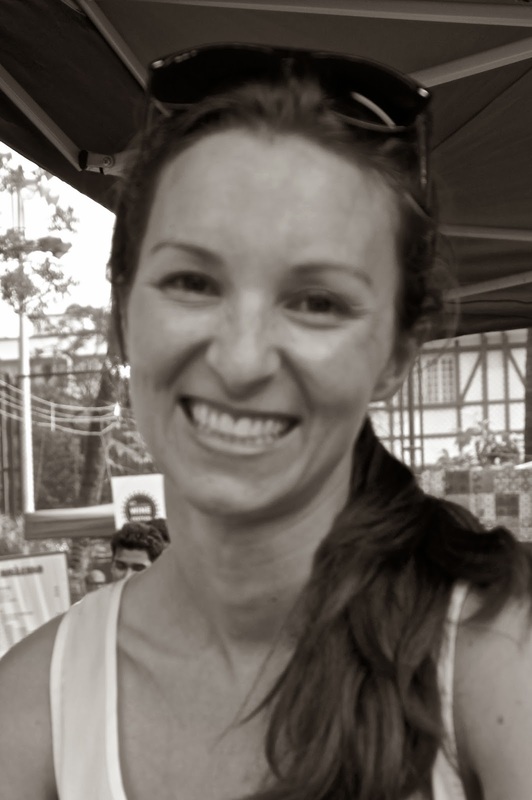 When Michelle first moved to India, she noticed that, despite the vibrant social and dining-out scene (and the heat! ), there were very few non-alcoholic, premium, healthy beverage options on offer. Her friends, neighbours and co-workers all enjoyed active, social lifestyles, yet there did not appear to be many options available to suit this way of living. At the time, Michelle was not sure she would be able to find work (they moved to India when her husband opened an office of his company here), so she started looking into the idea of making her own beverages – taking the idea of a sparkling fruit juices from the huge variety available in South Africa. Although she did find work in a marketing role quite quickly, the seed for the project had been sown, and Michelle continued to work on it in the evenings. A friend, who works in the food industry, came on board to help develop the recipes and as a partner in the company. 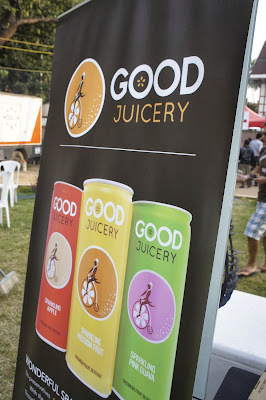 It was very important to them that their juices appealed to a local audience, so they used friends and neighbours (essentially the target audience) as a sounding board for everything, from flavour and taste, to packaging ideas and logo. From the time Michelle started exploring the idea, to the launch itself, took 2.5 years – as there were a fair few things to figure out! Not in the least the FSSAI regulations, how the juices could be made to strict specifications without compromising on quality, and finding someone who was willing to make the product in small batches. India is not set up for small scale production – everyone wants to appeal to the mass market…the initial quotation from a contract manufacturer for three variants was 900,000! Although a range of flavours were shortlisted, the final three were ultimately chosen after deliberating with friends, neighbours, and even strangers in the supermarket! The team wanted to launch with a good range that offered something for everyone. The Sparkling Pink Guava flavour uses guava pulp sourced locally and offers consumers a new take on a well-loved favourite. Sparkling Passion Fruit, sourced from Europe, is a more exotic offering not widely available in India, whereas Sparkling Apple is a classic, crisp taste, which is is popular with a younger audience. The company is often asked what flavours will be coming next (they even receive emails with suggestions from strangers!). Over the next 12 months The Good Juicery products should be made available in Goa, Bangalore and Ahmedabad in addition to Pune and Mumbai - and based on the positive feedback from customers the company hopes to launch new flavours. Good luck to Michelle and well done to a fellow expat woman for being brave enough to launch a new business in foreign lands from scratch! I am certainly impressed and inspired. Mumbai readers can buy this delicious product at Nature's Basket and other stockists as noted on the website. Each can of drink contains two portions of fruit with no artificial flavours, preservatives or colouring. The Good Juicery plants one tree for every 1,000 cans of drink sold as they have a solid 'green' policy. Aha, trust you to have already discovered the finer things in life! Sorry missed this - after all the excitement with the dog!